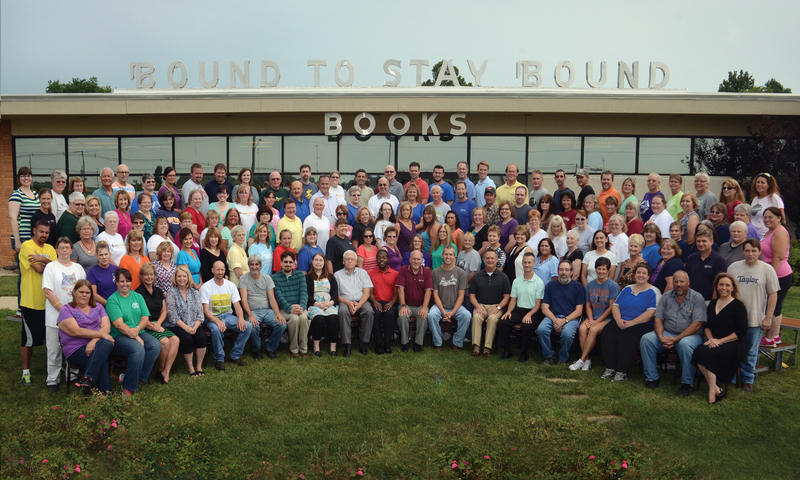 Bound to Stay Bound has been one of Central Illinois’ finest employers since 1920. Bound to Stay Bound has this reputation for many reasons. We simply have the best employees in the industry. The current employee base of 175 employees averages approximately 10 years of experience. Our employees give of themselves above and beyond their job descriptions and share in the pride of producing the highest quality prebound book available. PHOTO COPYRIGHT © 2014. The company offers fair wages and paid holidays. Employees are eligible for one of the best retirement plans in the area including a 401K plan and excellent benefits including company paid health insurance. Click on the image to the top right, a pdf file will open, Click the download icon; a fillable PDF file will be downloaded to your computer. Using Acrobat Reader, fill out the application, be sure to SAVE the application once you have all your information entered. 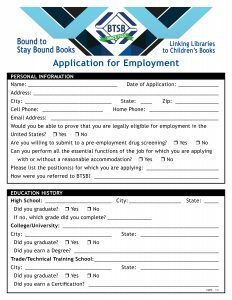 To submit the application, email hr@btsb.com and be sure to ATTACH the completed application form. Click on the image to the bottom right, a pdf file will open, you can choose to download or print. This pdf file is letter size and can be printed out on your home printer, fill it out by hand. BTSB also utilizes this professional networking web site and lists any of our available positions online. Click on the Linked In Icon above to be re-directed to that web site.